President Muhammadu Buhari has commended the Super Eagles for the away victory over Zambia in the 2018 FIFA World Cup qualifier match at the weekend.The Nigerian National Team had defeated Zambia by 2-1 in Ndola. He said it was a sign of good things to come, urging the team not to rest on its oars till it eventually qualified for the global soccer fiesta. He said: “This is but the first step in a long journey. However, that step has been well taken. An away victory at this level, in which the stakes are quite high, is remarkable. “The ultimate is to qualify for Russia 2018, and fly Nigeria’s flag alongside those of other giant soccer playing nations. 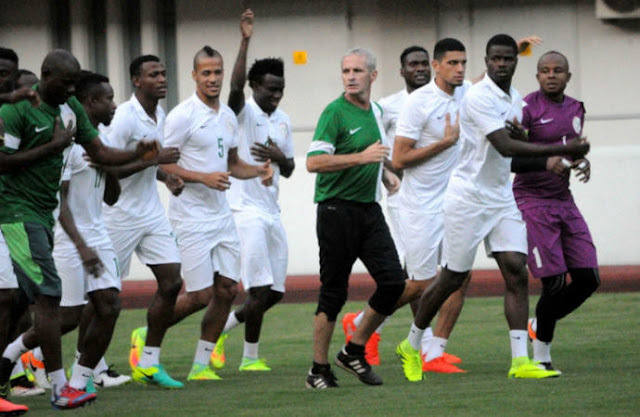 I look forward to that, and I urge the team and their handlers to always keep their eyes on the ball,” Buhari said.